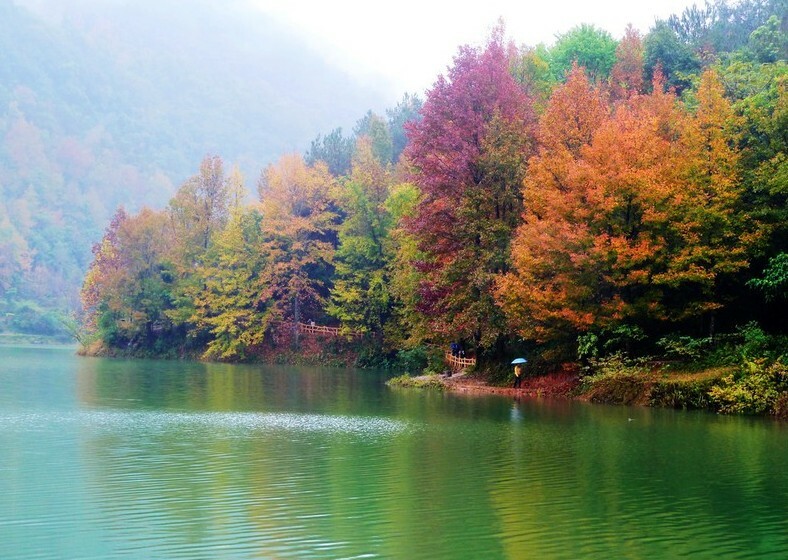 Guiyang’s famous Red Maple Lake is located in Qingzhen City situated west of Guiyang and is a national 4 A’s scenic area and a national historic zone. 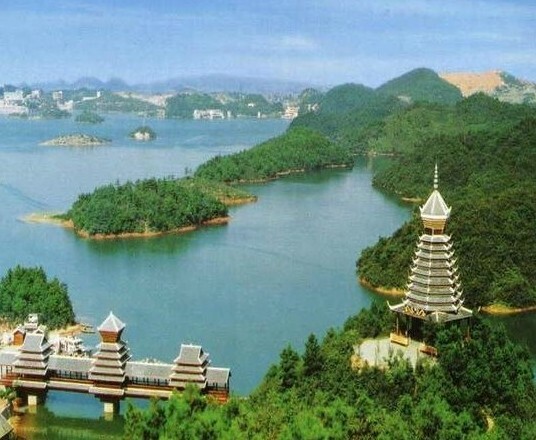 The lake covers an area of 57.2 square kilometers and is the largest man-made lake in Guizhou. 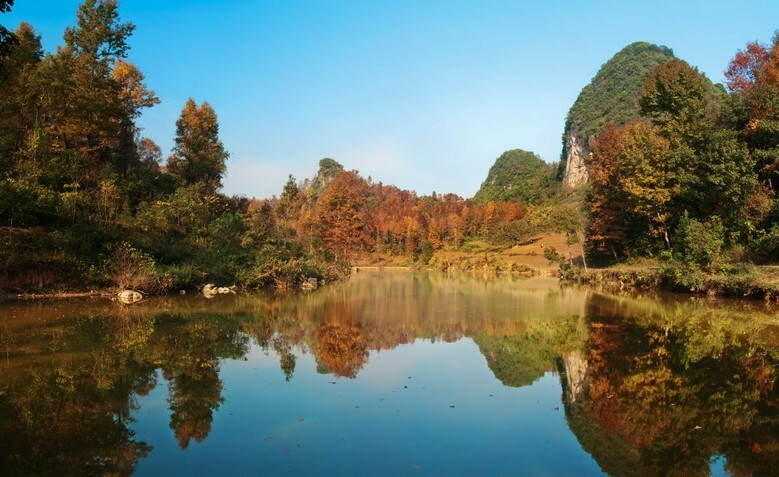 The most eye catching scenery of the Red Maple Lake is the magnificent views of the karst forms and the mountainous scenery. 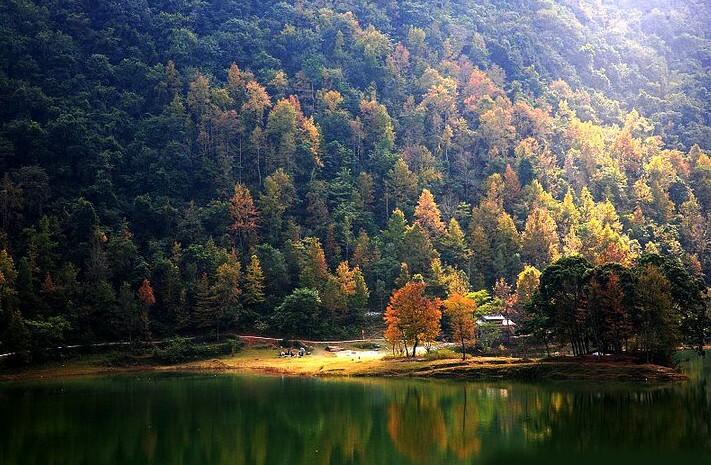 The national scenic area is divided into four different sections: North Lake, Rear Lake, South Lake and Mid Lake. The four different sections of the Red Maple Lake are known as the “Four Wonders”. The North Lake section consists of islands with different themes such as Bird Island, Snake Island and Tortoise Island. Rear Lake has its picturesque bay and wonderful countryside views. The famous caves in the South Lake are General’s Cave and Fishing Cave. The amazing hill sceneries are situated in Mid Lake. With the change in seasons the lake’s scenery and sights all display its change in charm throughout the year. The surrounding areas of the lake are inhabited by the Miao, Buyei, Yi and other ethnic minorities. Therefore when visiting the lake you can also immerse yourself in the different ethnic minority culture such as lifestyle and customs can all be experienced in the different minority areas. The area contains interesting examples of village architecture, including a Miao traditional house, a Bouyei flagstone house and a Dong drum tower which has a roofed bridge.